Every day, we get questions on Facebook like "What is this coin worth?" We know that condition plays a significant role in determining value for most coins, but estimating a grade can be challenging. One of the most underrated tools for referencing grades is PCGS Photograde, which comes in both desktop and mobile formats. Before there was ever a United States, there were thirteen colonies. Each colony was on its own as far as deciding how it would run its own affairs, monetary systems, etc. Colonies such as New York never sanctioned a coinage, but private individuals filled the need for small coins by striking their own issues. With the 14th year of PCGS Set Registry awards coming to a close it seemed appropriate to take a look at a few of the outstanding sets that have been inducted into the PCGS Set Registry Hall of Fame. It goes without saying that the all-time great collections of such notables as Eliasberg, Garrett, Norweb, and Pittman deserve a place in the Hall of Fame. But this article will focus on a few of the great sets that were built and inducted during the Set Registry’s lifespan of 15 years. What else do you collect in addition to coins? This piece is from The Twin Leaf Collection which includes a nearly complete set of Newcomb numbers. 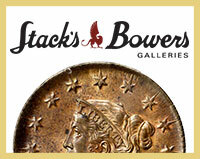 More than 150 coins offered are formerly in the Roy E. Naftzger, Jr. Collection. 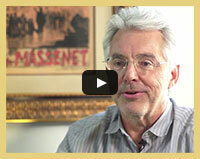 Due to an overwhelmingly positive response to the PCGS "Periodic Table of U.S. Coins" at the Long Beach Expo, the poster will become more widely available. This is another great reason to come visit the PCGS team at major shows across the calendar and across the country. The poster will continue to be offered free of charge and limited to one per visitor while supplies last. What is my Indian Cent Worth? 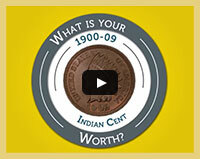 Finding out how much your Indian Cent is worth can be done quickly and easily. In one minute, we’ll show you how to do it, whether it’s in a PCGS holder or not. 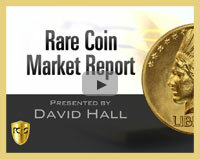 David Hall recaps action from the Legend Rare Coin Regency XII Auction. The #1 tip on how YOU can give us input on the PCGS Price Guide. 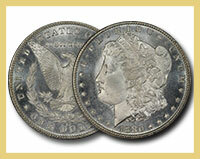 The PCGS Diamond Membership includes PCGS CoinFacts, a critical resource for both new and elite collectors. Available on mobile, it offers benefits on the bourse floor as well.